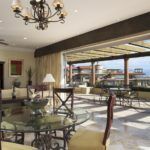 Information about Timeshare Scams and Timeshare Resales in Puerto Vallarta, Los Cabos, Cancun and more. In operation since 1984, Universal Vacation Club International or UVCI is a leader in the timeshare exchange industry. They are a company that manage and provide maintenance services for The Villa Group’s family of ever growing condominium resorts in Mexico and offer members hassle free exchanges within the group of associated resorts. When you become a member of Universal Vacation Club International, you will select a level of membership which enables you to either use a particular timeshare property or have the option to choose any of the units in any of the resorts; it all depends on what membership you join. Through Universal Vacation Club International you can also exchange your Villa Group timeshare for other destinations around the world thanks to their close association with RCI and Interval International. You own the rights to use your timeshare during a chosen season or longer time period during a calendar year. Your membership entitles you to use your timeshare during a set week every year and your dates are guaranteed for that week. You can join as a biennial member and have the same rights as full members every two years. The benefits are generally the same apart from certain, borrowing and banking rights. Premier or Gold Members have bought the rights to use any of the properties in the Universal Vacation Club inventory at the time of reservation. 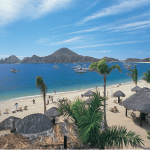 You can also split your week(s) between destinations, resorts or types of units, that is, you can spend 3 days in Cabo San Lucas in spring and 4 days in Puerto Vallarta in Autumn or any other combination. This membership is based on points that give you the opportunity to swap your timeshare week for points which you can then exchange for properties in other locations, dates etc. Villa Preferred Access provides the greater flexibility, allowing you to bank, upgrade, and split your timeshare weeks depending on what you want to do on a specific vacation. Each year can be completely different. Share the post "Vacation Clubs: Universal Vacation Club International"
Why Join a Vacation Club? Copyright © 2019 Timeshare Assistance . All Rights Reserved.